PHOENIX, AZ--(Marketwire - October 1, 2007) - This Halloween, dogs and cats will get all dressed up -- and they have somewhere to go. On Tuesday, Oct. 23 from 6 to 8 p.m., PetSmart will host its annual Howl-O-Ween Costume Party and Photo Event. Costumed pets can compete for PetSmart gift cards in the 7 p.m. costume contest, strut their stuff in pet costume parades, pose for pictures and amaze and astonish pet parents. But what's truly amazing, says PetSmart Cat Expert Heather Tobey Anderson, are this year's outfits and accessories. 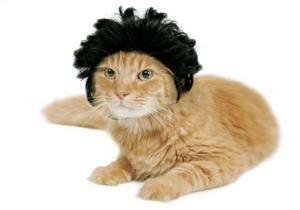 "Due to human demand, our line of cat costumes keeps expanding. This year, we added new options like the angel wings, the cowboy and mouse hats and -- my personal favorite -- the Elvis wig. "Why should dogs have all the fun?" Anderson asks. It would be hard for them not to, says PetSmart Dog Fashion Expert Rashell Cooper. "We introduced a variety of fun and unique costumes for dogs this year. Some of the highlights are the strawberry, panda and fire truck outfits, and, of course, the lobster." 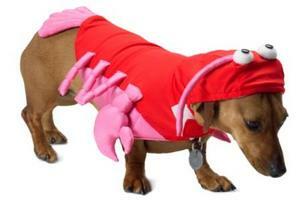 In addition, PetSmart stores will offer the more traditional Halloween-inspired collars, hats and T-shirts. For information about Halloween costumes, safety tips and the national Howl-O-Ween party, or to talk with a PetSmart expert, call the PetSmart 24-Hour Media Line at 623-587-2177 or visit www.petsmartnews.com. PetSmart, Inc. is the largest specialty pet retailer of services and solutions for the lifetime needs of pets. The company operates more than 966 pet stores in the United States and Canada, a growing number of in-store PetSmart PetsHotel® cat and dog boarding facilities, and is a leading online provider of pet supplies and pet care information (www.petsmart.com). PetSmart provides a broad range of competitively priced pet food and pet products, and offers complete pet training, pet grooming, pet boarding, doggie day camp and pet adoption services. Since 1994, PetSmart Charities®, Inc., an independent 501(c)(3) non-profit animal welfare organization, has donated more than $52 million to animal welfare programs and, through its in-store pet adoption programs, has saved the lives of more than 3 million pets.